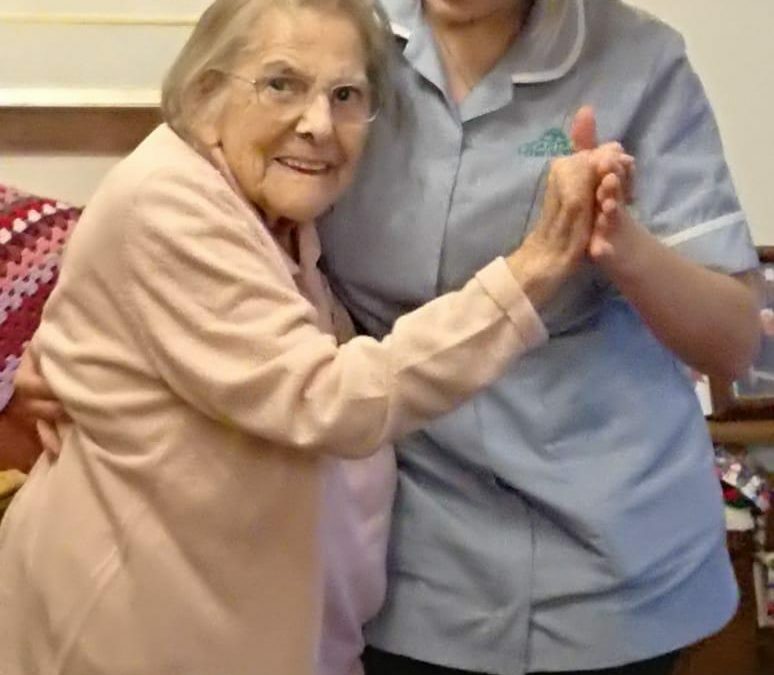 We all know dancing brings a smile to our faces, and for this Parton House resident that’s certainly true. 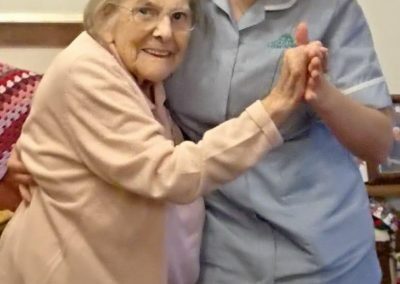 She’d had a lifelong passion for ballroom dancing, and certainly knows her waltz from her quickstep, but had kept rather quiet about her twinkle-toes. 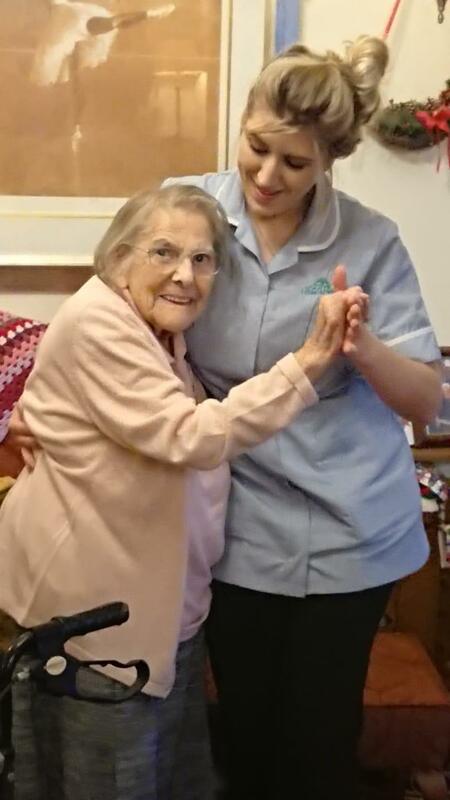 But when staff discovered her talent and love of dancing, they were quick to step on to the dance floor with her. Now we’re looking at lots of opportunities to give a bit of dancing a whirl and strut our stuff. It’s great exercise and always lifts spirits.